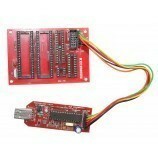 The PIC Standalone + ICSP Serial Programmer for PIC microcontroller is a highly useful low cost PIC programmer. As the name indicates it is interfaced via serial port. 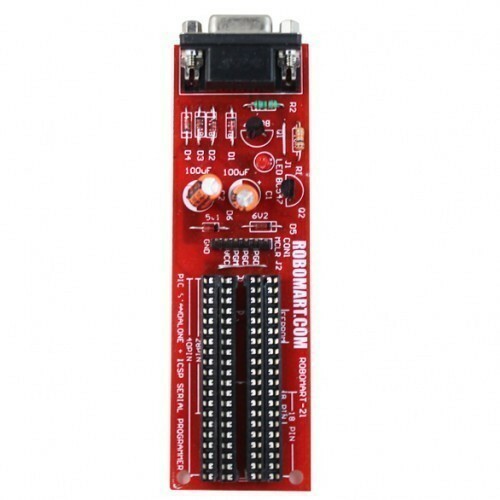 Using this you can program 8-pin, 18-pin, 28-pin,40-pin micro controllers. It supports almost PIC12XXXX, PIC16XXXX, and PIC18FXXXX series of PIC microcontrollers. JDM Design based versatile to use with any JDM support software. Free source programming software’s like PIC Pgm, WIN PIC, IC Prog. Auto detects PIC in PIC Pgm. Does not require any power to program. Whole of PIC series and some of EEPROM’s supported. All different pin configurations supported in ICSP. It is used in PIC program burning. Also Searched as : PIC serial programmer..